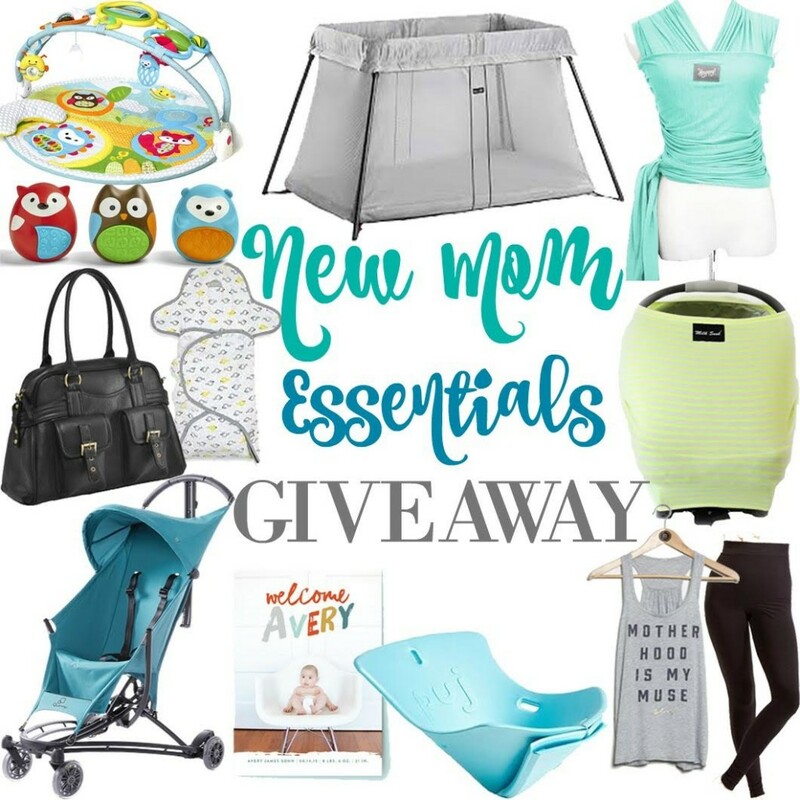 This lightweight and easy to carry stroller is a must for new moms who plan to get out and about, it comes in gorgeous colors, is simple to open and close, and has a comfortable hammock seat for baby. Winner will get to choose from the new turqoise or pink colors, this lightweight and easy to fold up crib is a must have for travel or just a safe place for baby at home. Not your typical swaddle, this one features a support pad for baby’s head and neck, comfort wraps, air vents, and options for arms-in or arms-out swaddling, so that baby (and mama) gets better, safer sleep. This unique infant tub fits right into your sink to cradle and comfort baby during bath time, and saves your knees and elbows, yet hangs flat to dry and is made of mold and mildew resistant material. Talk about a multi-use product, these super cute covers can be used as carseat covers, nursing covers, or even a shopping cart cover. This set includes comfy leggings and a super cute Motherhood is My Muse tunic – aka the mom uniform. We couldn’t forget some fun for the babies – this set includes an Explore & More Amazing Arch Activity Gym, Egg Shaker Trio, and Explore & More Rolling Owl Push Toy. Minted connects the normal person with artisans to create gorgeous, unique stationary, and this gift card is just what you need to order the perfect baby announcements. Babywearing is a great way to bond with your new baby, and these baby wraps keep you stylish while doing so. Since we know moms are a little snap happy, we think it’s important for new moms to have a cute camera bag for getting pictures on the go. This amazing giveaway is going to run through 12/14 – don’t miss out! This is the best giveaway!! You mamas are so sweet! I've been dying to try half the stuff here, esp those Blanqui leggings. Wow! Great giveaway! Sharing with my mommy friends. So excited for this!! Entered everyday!